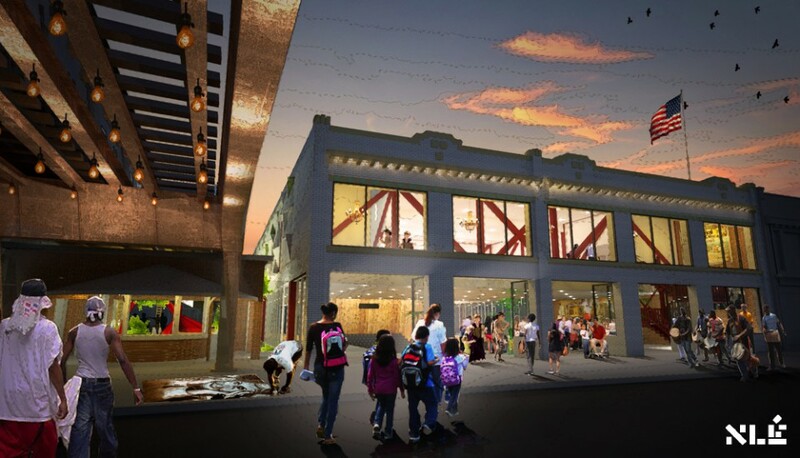 The new contemporary arts center will be flexible, open and invite local and international artists and creative entrepreneurs to form their identity within the neighborhood. 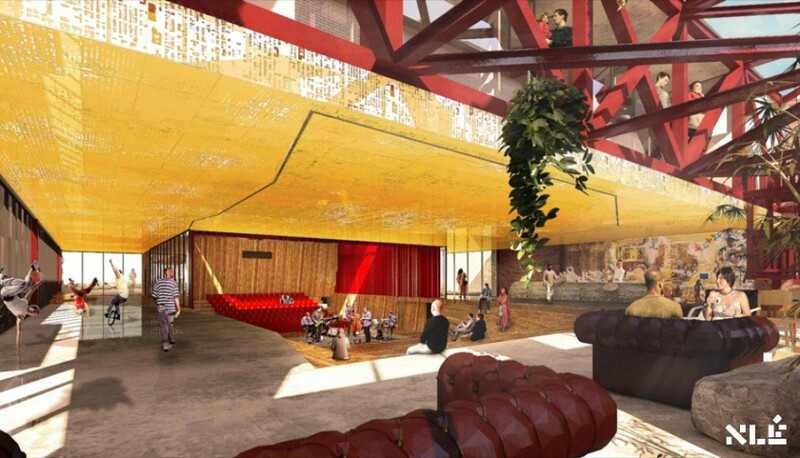 This building will attract city-wide and global exposure to the arts block, currently being conceived and built by the Arts + Public Life initiative of the University of Chicago, Hyde Park. 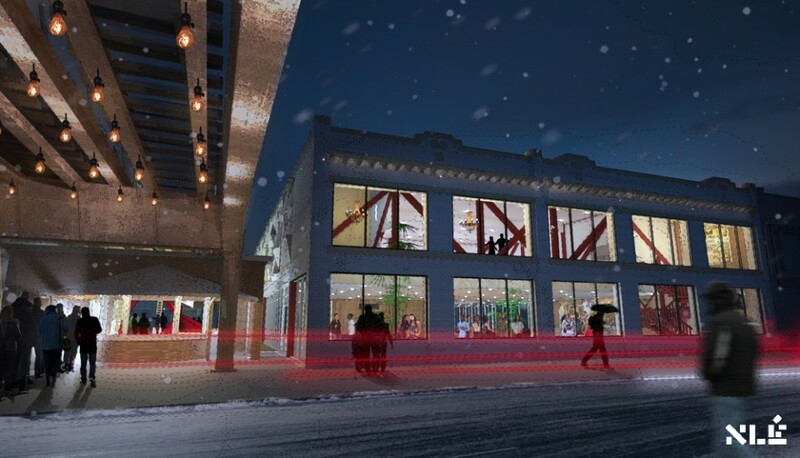 The building is imbedded into the larger urban context. Adjacent to Garfield Boulevard, an important corridor in Chicago’s fabric connecting to Washington Park, the University campus and Green line trains with the Washington Park neighborhood and the rest of the South Side. 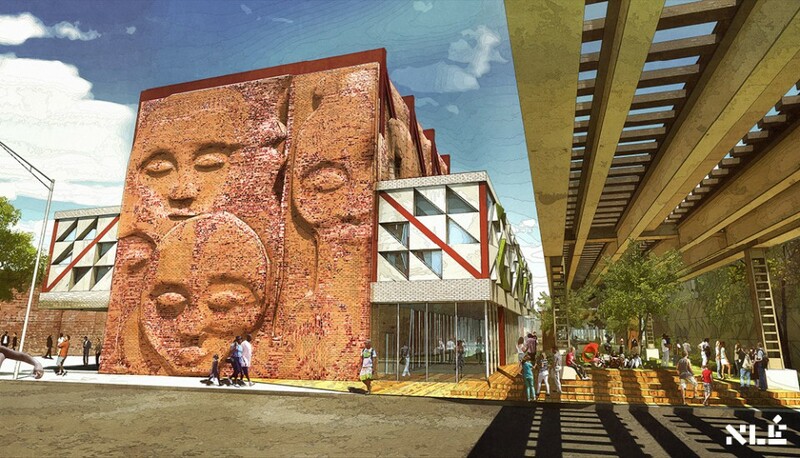 The building’s existing terra-cotta facade is preserved as a historic landmark, and will grace the boulevard in the future to come. 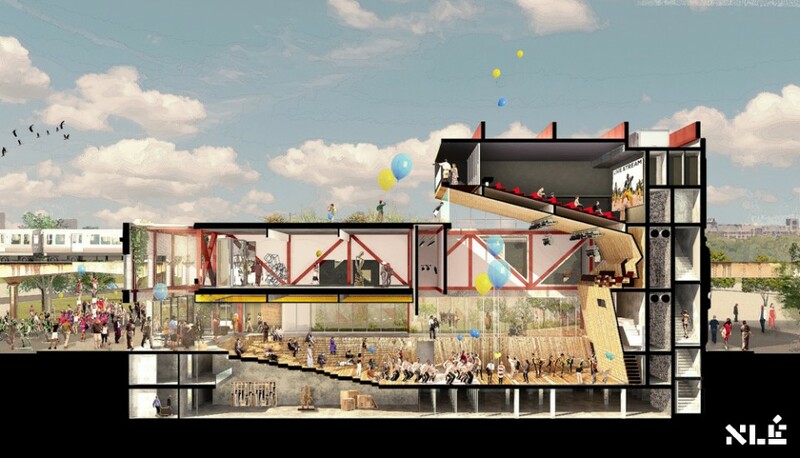 Our proposal for GLAC reconfigures the internal workings of a modern arts center – production, events-hosting and interaction – into a vessel that enables both single and multiple uses by the public. 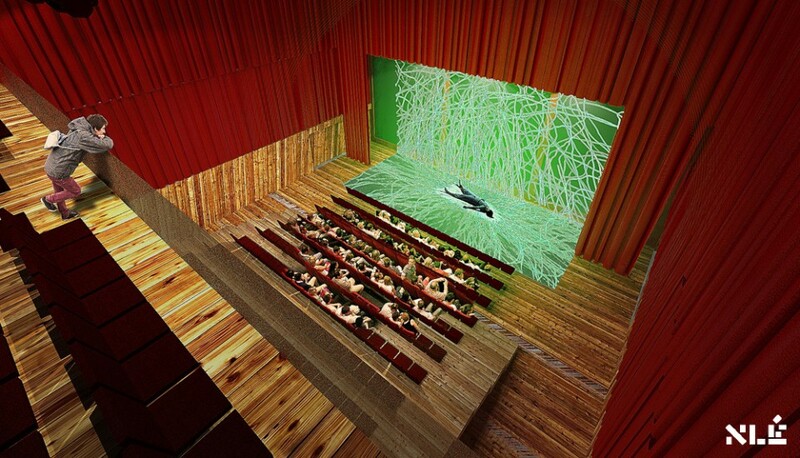 The design offers artists flexibility of space transformation into an array of configurations, ranging from traditional proscenium to an arena to a flat floor. 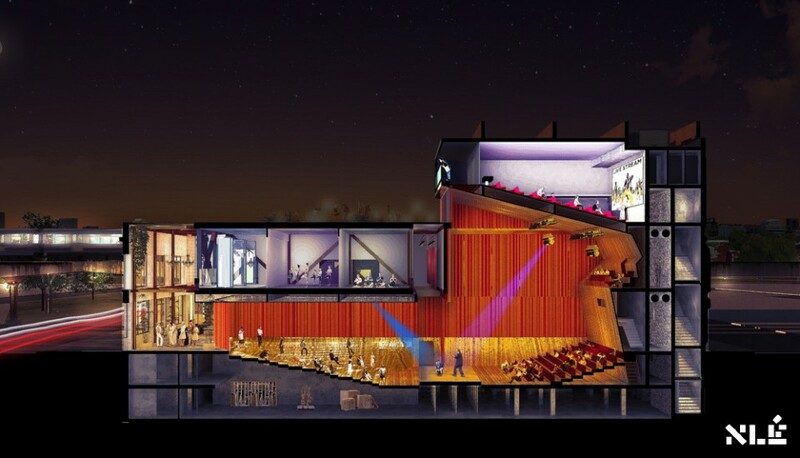 A retractable wall in the theater and movable walls in the studio enable the vessel to be demised for concurrent events. The building’s internal form as one large space allows for efficient natural ventilation in the summer period. The roof of the core is clad with solar panels, harvesting sustainable energy for the building. 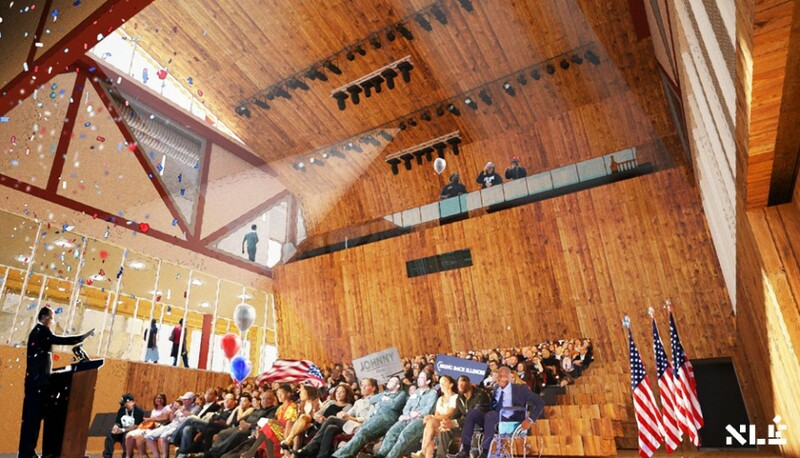 The Green Line Arts Center is designed around the central stage and amphitheatre. The two basement levels have support space to allow a wide variety of events, as well as program for visitors and a recording studio. 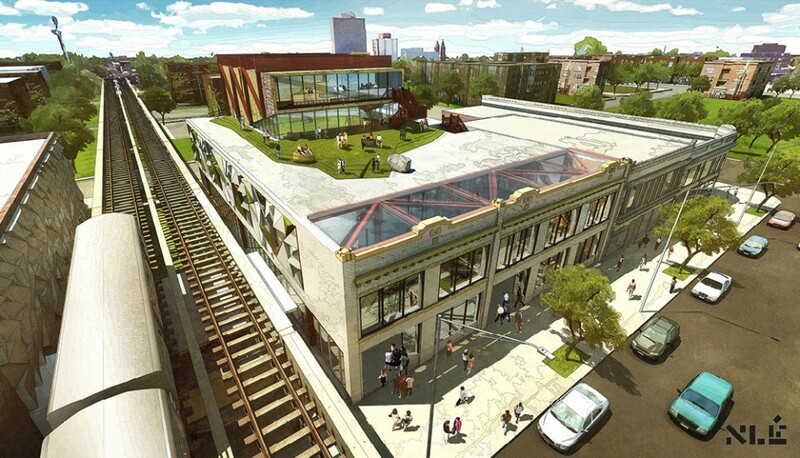 The former L-track train station – the oldest public transit building remaining in Chicago – in repurposed as an entrance building for the Arts Center, and the adjacent Arts Incubator building in the future. 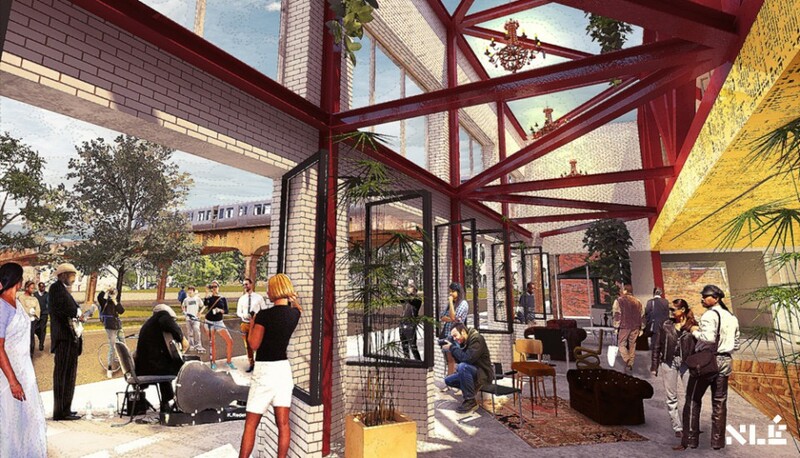 The space under the L-track is treated as a public sculpture garden, and together with the permeable front facade in summer allows for large scale events and public gatherings. 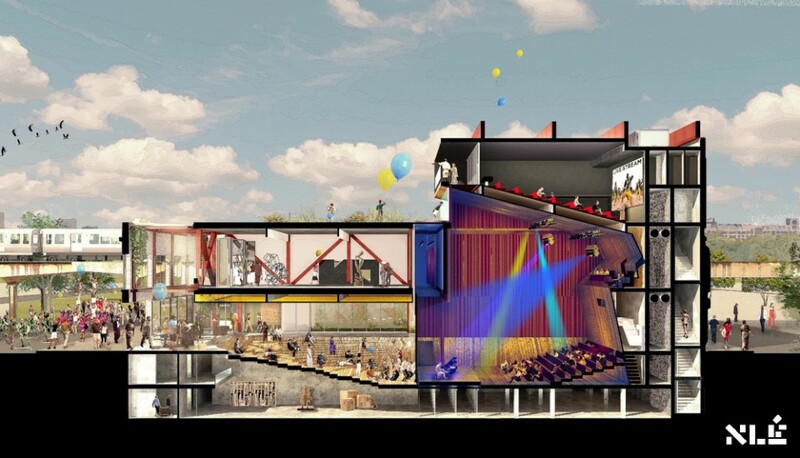 The second floor hosts production facilities ranging from artists workshops, dance studio, rehearsal space and offices. 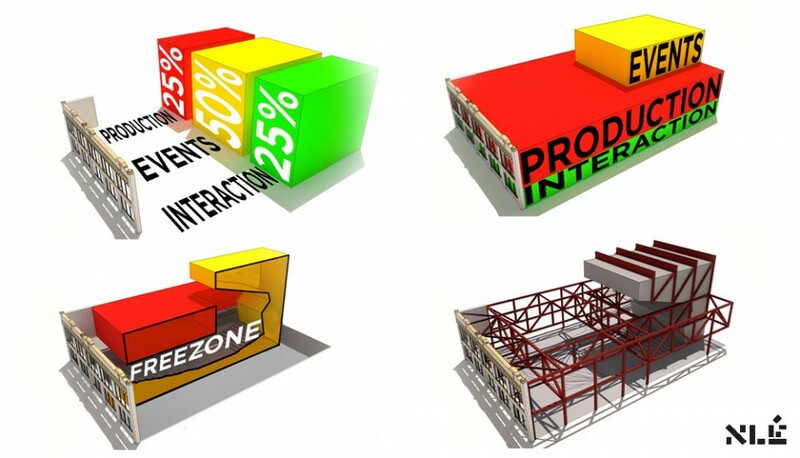 The front space of the building is conceived as a large atrium, enhancing natural daylight and ventilation whilst connecting the different functions visually. 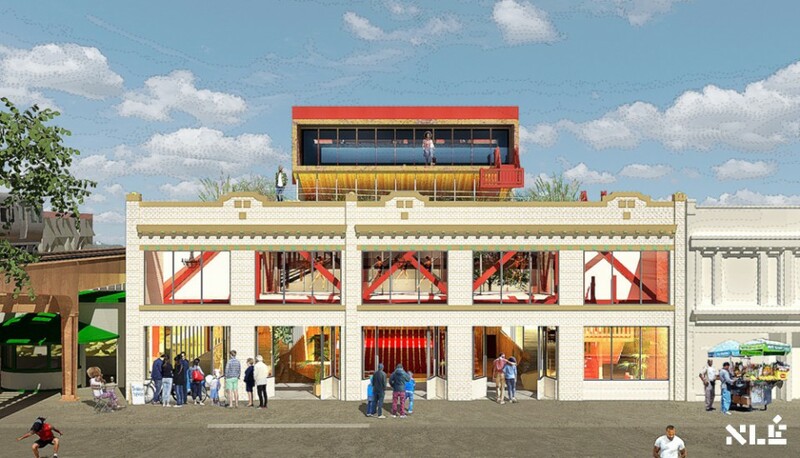 The protruding core element houses the cinema spaces and offers entry to the green roof.